Re: My new PB Tongariro TROPHY! Well done man, geez you've got into some stunning fish lately. But that thing is sweet! 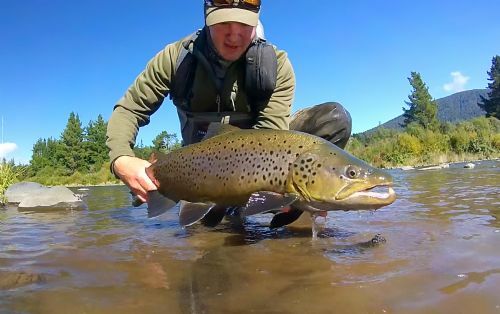 Cheers mate, yes fish up in the central plateau seem to be in exceptional condition this year, that brown I got last weekend from Ota was even better condition still, it was amazing, but yip, set a high benchmark for myself! If only I could crack 6kgs+ in the Tararua's!!! Lovely fish, well done indeed! Man thats a sweet fish. Jealous as hell bro! Think im going to have to get seriouse on the spey rod this season. Yip, ideal water for it up there Fraser! Video added, not not a super clip though to be honest, I should have set up a 2nd camera on the bank.